In commemoration of the 77th anniversary of the Doolittle Raid on Tokyo, and to honor the memory of Lieutenant Colonel Richard Cole, the USS Hornet Air, Sea, and Space Museum will host a special presentation at 1:00 PM on Saturday, April 20th. The featured speaker is Mr. Richard Nowatzki, a former crewman of USS Hornet (CV-8), who witnessed the hazardous launch of the Army bombers from the pitching flight deck of the carrier. The event will also include a historical introduction by historian Mr. Bob Fish, a USS Hornet Museum Trustee. The presentation begins at 1:00 p.m. PDT. Following an overview of the raid, Mr. Nowatzki will share his personal memories of the famous Doolittle Raid, which will be followed by a signing of his acclaimed book �Memoirs of a Navy Major.� Mr. Nowatzki recently gained national recognition as the CV-8 crewman interviewed in a February 2019 CBS-TV news documentary. 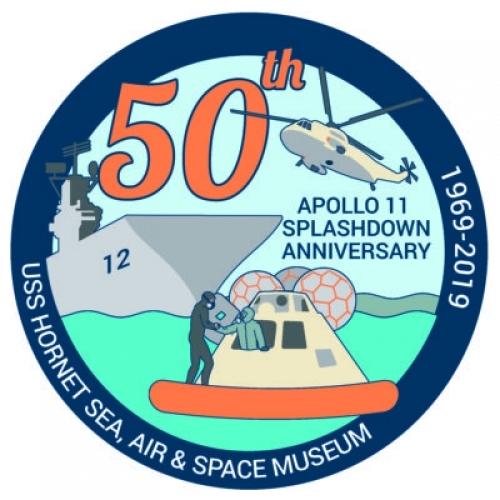 This show detailed the discovery and exploration of the sunken aircraft carrier USS Hornet (CV-8) near the Solomon Islands in the South Pacific by the R/V Petrel, a Paul Allen Foundation research vessel. This ten minute documentary film will be shown during the public event as well. At the end of the presentation, a wreath will be cast off into the Bay to honor the memory of LTCOL Richard Cole, the last surviving member of the Doolittle Raiders, who passed away recently at the age of 103. The Doolittle Tokyo Raid on April 18, 1942, was a joint U.S. Army and U.S. Navy operation against Tokyo and other major cities just four months after the attack on Pearl Harbor. The daring raid demonstrated the Japanese homeland itself was vulnerable to U.S. forces. While causing only minor physical damage, it provided a huge boost to American and Allied morale, and severely impacted Japanese morale. The air strike was led by Lieutenant Colonel James "Jimmy" Doolittle, U.S. Army Air Forces. Sixteen U.S. Army Air Forces B-25B �Mitchell� medium bombers were launched from the aircraft carrier USS Hornet CV-8 roughly 650 miles from the east coast of Japan. The 80 USAAF volunteer crewmen bombed military targets in Japan, and then continued westward to China, where the crewmen were forced to crash land their aircraft or bail out in mid-air. The one-way mission is considered one of the most valiant and important U.S. air combat missions of the entire war. LCDR Richard (Rich) Nowatzki, USN (Ret) was born in Chicago in 1922. As a young seaman, fresh out of boot camp, he was assigned to the USS Hornet (CV-8) before it was commissioned in October of 1941. His normal battle station was as a sight-setter on a 5-inch anti-aircraft gun at the rear side of the ship. During the Tokyo Raid launch, Nowatzki was positioned next to the flight deck and felt the engine exhaust as the B-25s took off. He has many fond memories of the Army Air Corps fliers while the ship was crossing the Pacific. He remained part of the Hornet CV-8 crew until she was sunk in combat in October 1942. Visitors can meet former Hornet crew, sit in the cockpit of a fighter jet, and enjoy the sights and sounds of naval aviation. There will also be a special performance by the USS Hornet Band. This public program is free to Museum Members or with purchase of regular admission. Ample free parking is available across from the pier.